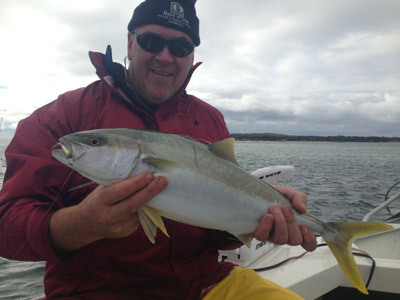 Gone Fishing Charters is a fishing charter operation concentrating on fish on the East Coast of Tasmania. Our beautiful estuary system is not only scenic but our pristine waters support a huge array of fish which size wise are the best in the southern part of Australia. Bream are the most sort after estuary and river fish that we have here in numbers and size. The bream is a great sport fish and a real fighter especially when using fly and lures. Very good eating with fine white flesh, bream grow to a size of 4 kilos but mainly average out at around the 1 - 2 kilo range. 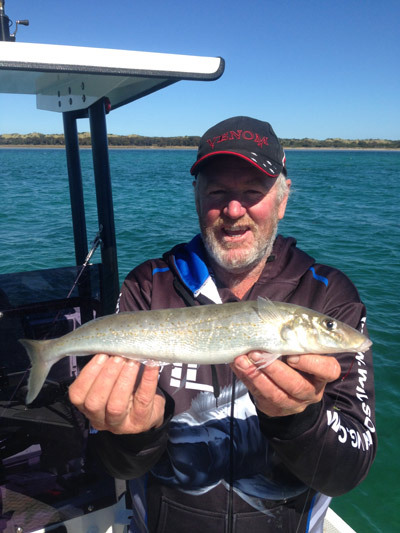 Although bream fishing is a real passion of your fishing guide there are many other species that will be targeted during your charter and they include: Garfish Squid, Australian Salmon, Flathead, Taylor, Trevally, Mullet, Leatherjacket, Kingfish, KG Whiting and Sweep. Stripy trumpeter, kingfish, tuna, perch and tiger flathead are also caught on our reef fishing charters. The Australian Salmon is one of the great sport fish in the area, on a fly they are amazing to watch and even better to catch. 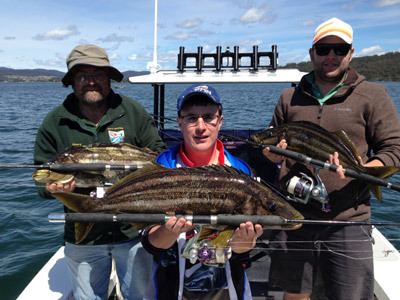 Begin a new adventure today, learn more about the fine sport of fishing and widen your horizons to include the East Coast of Tasmania in your next fishing advenure. • Estuary and Bay Fishing Tasmania's East Coast. • Private Access to pristine trout waters. • Specialising in Big Bream. • Techniques include Bait, Lures and Flies. • Quality Wilson fishing equipment provided. • Purpose built 7.3m BarCrusher & 4.5M Punt vessels catering for a maximum of 5 anglers. • Half and full day charters available. • Your Guide Michael Haley has over 35 years of local experience. Michael Haley is a third generation East Coast of Tasmania local, and hence his knowledge of fishing in the area is extensive. Michael has 35 years of fishing experience. He is highly skilled in bait, lure and fly-fishing and has performed well in numerous fishing competitions. In 1999 the opportunity arose to turn his passion for fishing into a business and Gone Fishing Charters was established. Michael has established an excellent reputation as a result of consistently being able to put clients onto quality fish. 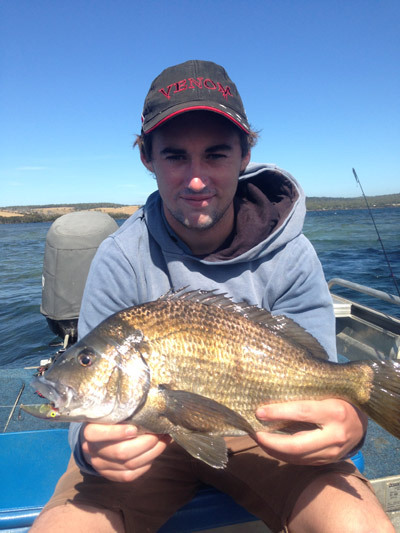 He has proved the area as being one of Australia’s premier Bream fisheries.